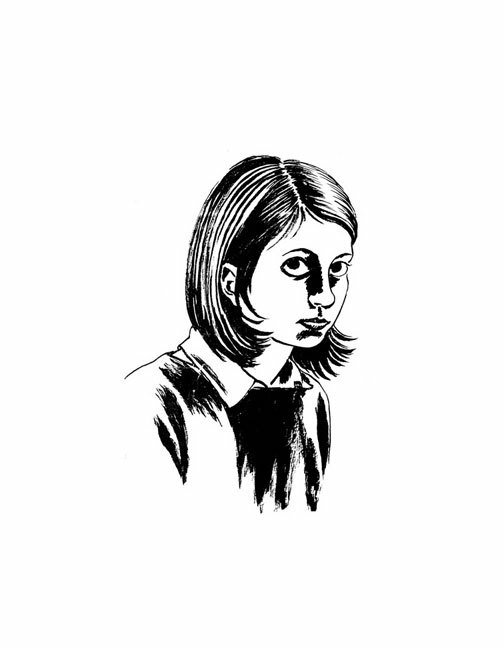 Gabrielle Bell’s Lucky is a comic book, a collection of short stories, an autobiography, and a poignant portrait of the joys and [especially] frustrations of artistic life. If you like any of those things, or just a damn good memoir, you’ll want to read this excerpt. Then read on below, where I’ve interviewed author/artist Bell, and find out why she is learning respect, how many things are in her blood, and what crisis she still has nightmares about. Q. Do you consider yourself more of a writer or an artist? A. I guess technically I am more of an artist, because I spend far more time drawing than I do writing. That is just the case with most cartoonists, because drawing takes more time. But my aspirations, I think, are more writerly. Q. Why do you think comics are the best way to communicate your life story? A. I’ve always been writing and drawing since I was a little kid, so it seemed obvious to me. With comics you can combine the two and the result is bigger than the sum of its parts. Q. Do you write fiction too? Is it easier or harder than documenting real life? A. Yes, I write fiction too, and it is harder for me. It takes more concentration and distillation. But it’s more gratifying. I have a lot of fictional comics published in various anthologies. Q. Do you ever worry about being so confessional in a pubic forum? A. Yes, all the time, constantly while I am working on it. But there is something so compelling about real life it hasn’t stopped me yet. Q. How do your friends and family react to being written about and drawn? Some like it…some are flattered, some have complained…some haven’t seen it yet. People will say they didn’t say those words, or they weren’t wearing those clothes that day, or they don’t like the name I gave them. Others complain if I didn’t put them in the story, or didn’t write about them enough. Others don’t want to be in it at all. However, I do think people, in general, like to be part of a story, as long as they are given the respect they deserve. I am learning to be more respectful. Q. How did you begin self-publishing, and how did it compare to working with Drawn & Quarterly? I began self-publishing just by making xeroxed mini-comics and going to small-press conventions. I’ve done that for years. It is much nicer working with D&Q, simply because I am left alone to do the comics while they take care of all the business. But I still make mini-comics. It’s in my blood. Q. What do you think inspired the recent graphic novel explosion in the literary world? A. I really can’t say. People have been doing these personal comics for a long time. I think it’s just a natural evolution of lots of people like me, plugging away at it for years, going to trade shows and inspiring each other, and taking it seriously. Sooner or later a larger audience takes notice. I really couldn’t say why it happened now and not fifteen years ago or fifteen years in the future. I am glad it’s happened though; it makes it easier to explain what I do when I meet people. Q. At one point in Lucky, you lose your sketchbook in an airport. Do you have any new precautions against losing work after that tragedy? Yes, I think so. I can be kind of easy-come, easy-go. But the other night I had a dream where I got on the subway and realized I lost my purse. The first thing I thought about was not my wallet with my money and bank card and I.D in it, but that my sketchbook was in it. Q. Lucky focuses a lot on achieving the elusive job-apartment-boyfriend contentment trifecta. Where does that stand now? Are you with Tom? Do you have roommates you can stand? I am living in the same place where I landed at the end of the book, and it’s very nice. “Tom” (not his real name) lives nearby. We are still friends. I like my roommate. So things have worked out all right. A. I’m working on another issue of Lucky. Writing and drawing autobiographical comics is also in my blood. But I am also continuing to do fictional comics. Q. 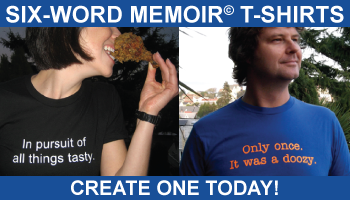 What is your six-word memoir? A. Writing and drawing brought me here.